The simmering crisis between tiny Djibouti and Gulf state UAE (by extension with Saudi Arabia and all GCC member states) quietly leading to a vast reshuffle of regional alliances. AS the diplomatic crisis with the United Arab Emirates escalates, neighbor and ally Saudi Arabia denied Djibouti’s Foreign Minister Mahamoud Ali Youssouf a visa and declare him persona non grata to the country. His planned visit to Saudi Arabia was mandated by President Ismaïl Omar Guelleh (IOG) for the purpose of persuading the Saudi officials to intervene in the diplomatic fallout between his country and the UAE. 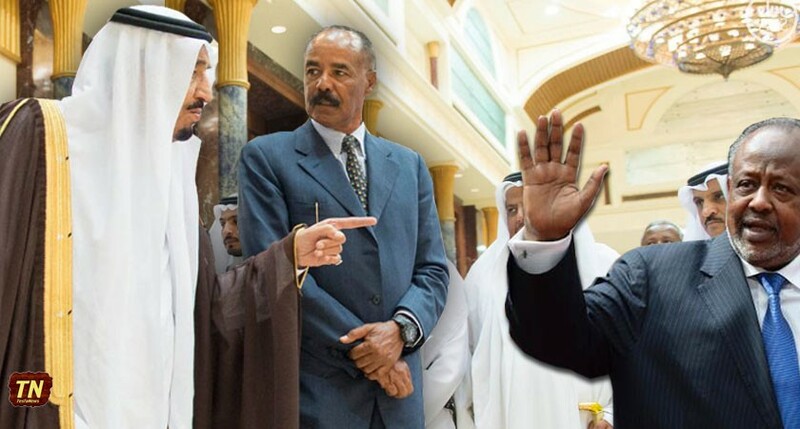 As extensively reported by The Indian Ocean Newsletter, the altercation starts first on April 27 when a small misunderstanding ensued between the commander of the Djibouti Air Force, Wahib Moussa Kalinleh, and the Vice Consul of the UAE, Ali Al Shihi that led to the closing of the UAE consulate almost instantly and the departure of the Gulf Cooperation Council (GCC) troops stationed at a site in Haramous that Djibouti had put to set up a military base. All this happening on top of Djibouti’s unilateral revocation of the lucrative Doraleh Container Terminal concession contract from the UAE based company DP World and hand it over to a Chinese company. Emir Sheikh Khalifa had lost faith since and broke off diplomatic relations on May 4, 2015. Shocked by the unexpected turn of events, Djibouti requests the US for mediation in settling the dispute with UAE and by extension with Saudi Arabia. Secretary of State John Kerry, however, declined from intervening in the matter. That was another unexpected setback for President Ismaïl Omar Guelleh and, in fact, a sign that the door for mediation has shut in his face. The simmering crisis, however, quietly leading to a vast reshuffle of the regional alliances. Irritated by the fact that the Gulf States have started to abandon him at a short notice and the US rejected his plea for intervention, President Ismaïl Omar Guelleh suddenly declared on May 9 that his country is willing to host a permanent Chinese military base. That raises the prospect of US and Chinese military bases side-by-side in that tiny strategic republic. The it followed by a red carpet reception for the Eritrean President Isaias Afewerki, IOG’s longstanding nightmare, by the Custodian of the Two Holy Mosques, King Salman bin Abdulaziz of Saudi Arabia, in Riyadh. That was the last straw for IOG. The King had set the tone on 29 April, when he signed a contract for military and security cooperation with Eritrea. As the saying that goes, there are no permanent allies and no permanent enemies but only permanent interests.